According to Complex, the internet was supposed to level the playing field for young producers- but now, the main problem is that there is an influx of upcoming EDM producers. There are a plethora of undeserving producers being placed on pedestals while other acts struggle to break into the spotlight. 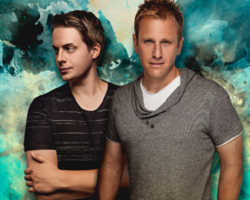 But electronic duo Tritonal surpassed the barrier hailing from Austin, Texas. Though most producers relocate to New York or LA, their location wasn’t a factor as they held onto faith in their talent and vision which allowed them to never stop pushing for success. Their optimistic mindset allowed them to set their goals high in a time that was uncertain. They have a commanding yet effortless energy on stage that’s a perfect fit with festivals. They never took the classic approach to their career: instead of coming in with a hard bass drop and strong build-ups, Tritonal incorporated particularly light beats, soft vocals, and a consistent cheerful tone to their projects. Their bridges are calm which acts like an extension of the chorus as the vocals fade in and out. 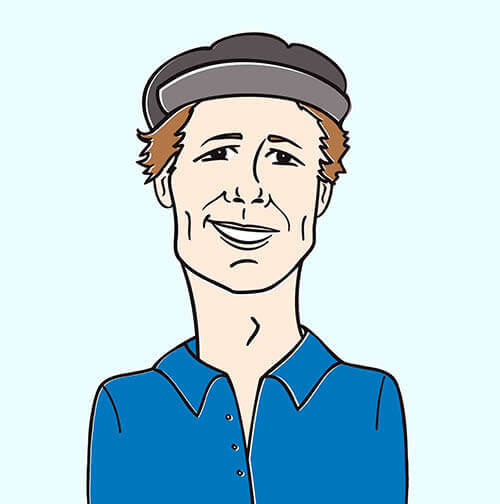 Each song takes you on a journey with sourcing and cutting as attention is drawn to pianos and synthesized light instruments. The mood and ambiance set the stage with red and pink contrasting lights to exude and channel a vibrant and excited feeling. Tritonal knows how to create music for the EDM crowd while also crafting strong radio hits. Their versatility has allowed them to work with the right people at the right time- gaining a lot of streams fast and drew a crowd right away. Tritonal has set the tone for what one can accomplish if they have a positive mindset and a game plan. It wasn’t til their 2016 release “Blackout” (featuring Steph Jones) that Tritonal finally found the amount of attention they rightly deserved. “Blackout” features delicate vocals and a pop twist that carries a melodic sound that is seducing and addictive. It became Tritonal’s fastest-selling and streaming single to date. They capitalized on this success by scoring business deals with some of the top musical acts in the game. By working with the biggest EDM artist of 2016, The Chainsmokers, they surpassed the 53 million streams with their collaboration “Until You Were Gone”. They were also able to work with Adam Lambert: their remix of his song, “Ghost Town” reached millions of listeners on iTunes, Soundcloud, and Sirius via their Tritonia podcast. Not only were they praised, they also gave Adam Lambert his first hit in over five years, as the production was a clear standout. They sold out their The Untouchable Tour with Cash Cash, including iconic venues like New York’s Terminal 5, San Francisco’s Warfield, and L.A.’s Club Nokia. They have also headlined for major festivals around the world, including main stage performances at New York City’s Electric Zoo and Chicago’s Lollapalooza, transforming them into international sensations. Tritonal is an EDM act that everyone doubted. How could two people from Austin Texas with light production standout in a world full of heavy bass drops? But it was their vision and pure drive that shot them to success all on their own. They worked on their craft throughout the years and didn’t allow themselves to self-sabotage their progress even though it seemed to be getting them nowhere at times. After six years of hard work they finally got the recognition they deserved and rode the bull of the success while continuing to evolve their sound, visuals and stage persona. Acts like these that make you believe in the power of work ethic and a positive mindset to guide one through the toughest travels- ultimately proving that compelling songwriting, innovative production, and exuberant performances resonate with music lovers of all kinds. Never give up on your dreams- if you sleep on it, your eyes will be closed forever.